Origin of Thundra. 1st Appearance of Mahkizmo. Battle Royal. Appearance of Silver Surfer. Versus Doctor Doom. Middle Game. Appearance of Doctor Doom, Silver Surfer. And Now the Endgame Cometh. Appearance of Doctor Doom, Silver Surfer. Invasion from the 5th Dimension! Havok in the Hidden Land. Appearance of Inhumans. Versus Xemu. In One World and Out the Other. Versus Arkon. The Shape of Things to Come. 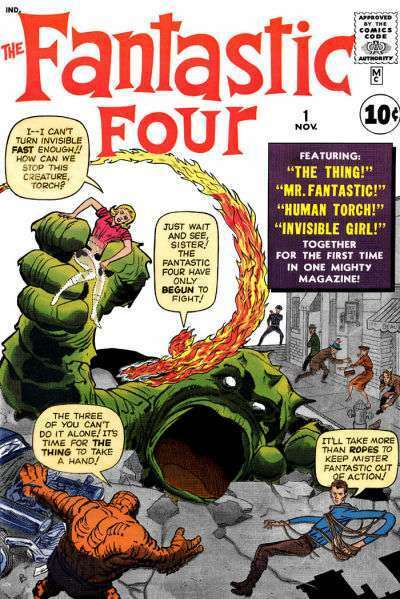 Appearance of Albert E. DeVoor, The "Old One", Valeria, Reed Richards of Earth-A, Gaard (Johnny Storm of Earth-A, reconstructed), Arkon, Ben Grimm of Earth-A, Phineas. Finale; Arkon at Bay; Victory in Hyper-Space A: Rich Buckler We Roy Thomas. Appearance of Albert E. DeVoor, Reed Richards of Earth-A, Gaard (Johnny Storm of Earth-A, reconstructed), Arkon. The Light of Other Worlds. Origin of Crusader (a.k.a. Marvel Boy). Death of Crusader. Where Have All The Powers Gone? Thing replaced by Luke Cage (Power Man); Appearance of Wreaker. Five Characters in Search of a Madman. Appearance of Luke Cage. A Sky-Full Of Fear! Appearance of Luke Cage. Death is a Golden Gorilla. 1st Appearance of Gorr. Versus Galactus. Cry, the Bedeviled Planet. 2nd Appearance of Gorr. Appearance of Galactus, The High Evolutionary, The Destroyer. Versus Galactus. Starquest. Appearance of Galactus, Gorr, The High Evolutionary, Torgo. Versus Galactus.